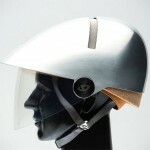 Aesthetic is almost like an afterthought in bicycle helmets. Which is not wrong. They had to be functional. 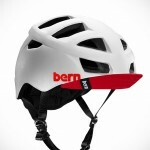 Not that bicycle helmets are ugly, but they do look pretty boring. You know. It is like, hey look, a bicycle helmet and you moved on. 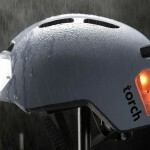 This is one safety gear that you can’t change much in terms of appearance. The most you can do is to make it more streamlined, make it smarter, probably throw in some lights, or maybe make it collapsible for easy carry and storage. That’s that. However, we heard England-based bike and bike accessories seller, Ribble Cycle, came up with an entirely different and somewhat crazy approach. 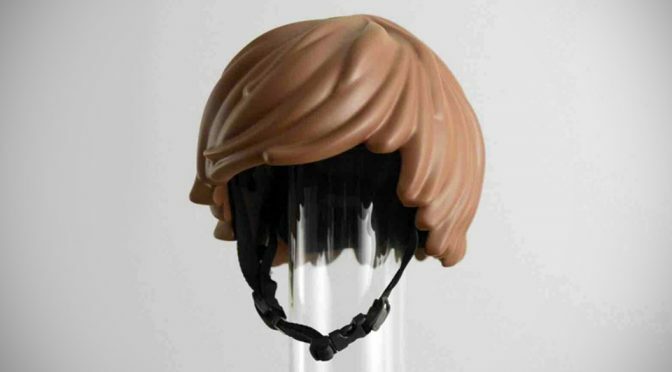 The bicycle seller dreamed up of a bicycle helmet that look like LEGO minifig’s hair. Yep. LEGO minifig’s hair. I got to say it is a pretty damn refreshing idea. 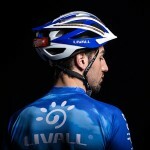 Unfortunately, it is just a concept thrown around by Ribble Cycle. However, if someone is willing to make it, Ribble Cycle is more than happy to stock it. Now that this insanely cool idea is out in the market and had people drooling, it is high time someone make a bicycle helmet in the likeness of Marge’s hair. I am sure a 2 feet 1-inch tall blue hair would make a huge statement as a bicycle helmet. Though, whether it is practical or not, I cannot vouch for it.